Who Does This Guitar Amplifier Appeal to? 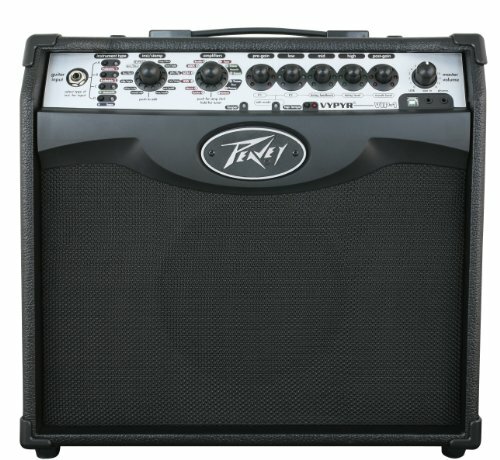 Conclusion – Is The Peavey Vypyr VIP 1 The Right Guitar Amp For You? Any guitar player will be able to tell you how important it is to have access to a high-quality amp. You need an amplifier to be able to give you the smooth sound that you are looking for. It’s also important to get an amp that can get loud. Whether you are looking for an amp for practice or you need one to play gigs, it’s important to seek out a good option. There are many different types of music amps on the market. Some are specifically marketed towards guitar players and others will work well for multiple instruments. 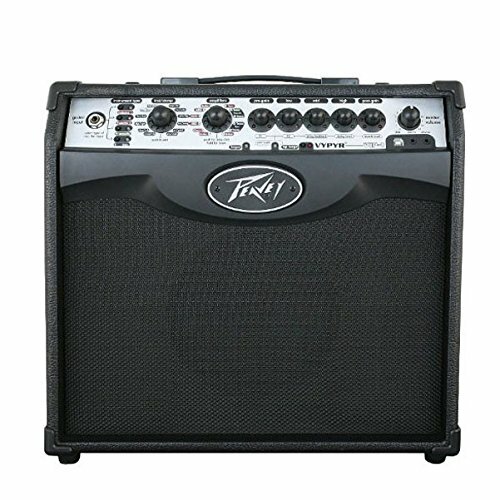 The Peavey Vypyr VIP 1 is a guitar amp that will also work for other instruments. It is a very good amp that will work well in many different areas while remaining cost-effective. If you have been looking for a new amp for a while, then it will be beneficial for you to learn a bit more about the Peavey Vypyr VIP 1. It will give you the information that you need to determine if this is the right amp for your needs. Take the time to look at the various features and everything that this amp has to offer. You should come out of the situation with a deeper understanding of what the amp is all about and will be able to buy with confidence if you feel that it is what you’re looking for. Right off the bat, you can tell that this amp is going to appeal to guitar players. This is an amp that will work perfectly for any guitar player who needs a quality setup. It has the right features and the right price to appeal to most guitar players. Guitarists who are just starting out will be able to make use of this amp right away and the price is not going to scare anyone away. This is a perfect amp for people who play bass as well. This is an interchangeable amp that will work for multiple instruments. It will work perfectly for a bassist, a guitarist, or even anyone who plays acoustic instruments. This is a very versatile type of amp that is definitely worth the price that you will pay. It is a fully featured amp that has a lot of substance while also being very cost-effective. Bands will enjoy these types of amps for similar reasons as single musicians. It will be easy to purchase several of these and using them will be simple too. They will help to make any gigs that you play go off without a hitch. These reliable amps should be easy enough to haul around too as they are not overly heavy or anything. It’s a good first amp for a band that is working on a budget. Churches will really enjoy these types of amps too. They are affordable and work very well to help provide good sound. If the guitar player in your praise and worship band needs a reliable amplifier, then this one should work out swimmingly. It will be a good purchase and it will see a lot of use over the years. Inside the box, you will find that there is not much inside of the package. You will be getting the Peavey Vypyr VIP 1 amp and that is about it. It should come with a user’s manual as well and you may want to hang onto that just in case. It will give you a bit of an overview about the amp features in case you need a reminder. Otherwise, you will need to buy your own guitar cables and other odds and ends that are associated with guitar amps. When you start to dig into the features of this amp, you will really begin to see that it is a great value. As mentioned earlier, this amp will work perfectly for guitars, bass guitars, and acoustic instruments. You can plug your acoustic guitar into this amp and it will sound beautiful. It will also be able to provide you with that loud, powerful sound for your electric guitar that you are looking for. This is going to be a great amp to use for recording, practicing, or playing live shows. It is light enough to make toting it around practical so it works well for a gigging band. The versatility of the amp is really nice overall. Being able to rely on one amp that can help you to practice both guitar and bass guitar is nice. This is really good for anyone who plays multiple instruments. The variable instrument input allows for the amplification of many different instrument types. It makes this amp more useful than many other models. This amp makes use of a 32-bit floating point SHARC processor along with Transtube analog circuitry. This all comes together to give you amazing sound and it will definitely work great in a live environment. All of the different effects, amp models, and parameter controls can be accessed by using only the amp. You don’t need to hook it up to a computer to tinker with settings. It is intuitive and easy to use right out of the box. You’ll have many settings to play with and can make your guitar or other instruments sound just right. You’ll be impressed with the sound quality and will love the variety of different settings that are available. You may want to consider the Fender Mustang V2 20-Watt amp as a possible alternative. 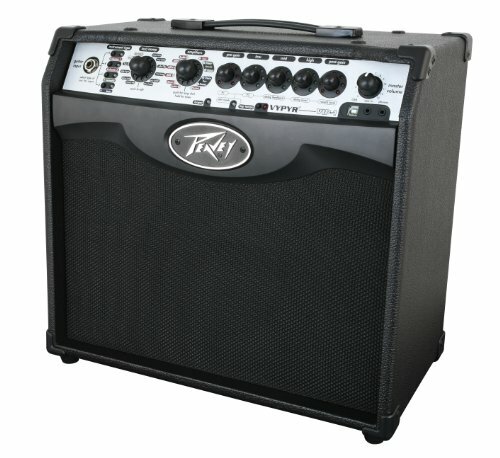 It has similar specifications to the Peavey Vypyr VIP 1 and it comes in at a slightly less expensive price. It may not have all of the same features as the Vypyr, though. Both are good amps that will appeal to starting musicians and seasoned pros alike. It’s a good option for anyone who is working on a limited budget. The Peavey Vypyr VIP 1 is an excellent amp that is going to appeal to many people. The fact that it can amplify multiple instruments is really great and it will also be able to help you to get the best sound possible out of your guitar. Being able to get that bold, reliable sound out of an amp is important. The Vypyr VIP 1 is a joy to play with and it will be a constant companion while you are performing shows. This is a great amp that has a very reasonable price. There are other amps on the market that have similar prices but this one is especially tempting. It has the right mix of features and ease of use that makes it a really appealing option. If you need an amp for recording, practicing, or playing shows, then this one is easy to recommend. It will work well for you and you’ll feel as though you spent your money wisely.